Combats bad breath, reduces flatulence and aids digestion. 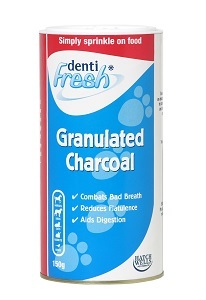 Granulated charcoal is a natural and safe product that works by absorbing many times it’s own weight of stomach gases and toxins. Suitable for Dogs, Cats, Horses, Rabbits & Birds, simply sprinkle onto food. For brilliant white teeth, easy to apply with enclosed toothbrush, this powder is specially designed for your cat or dog. Apply once daily or for badly stained teeth apply twice a day. The specially designed toothbrush has soft bristles to protect the enamel on the pet’s teeth and is easy and comfortable to use. This toothbrush is a good step up from the finger toothbrush when your pet is accustomed to regular tooth brushing. 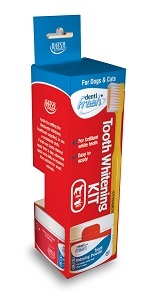 Kit also has a non-enzyme meat flavoured toothpaste specially designed for Cats & Dogs. 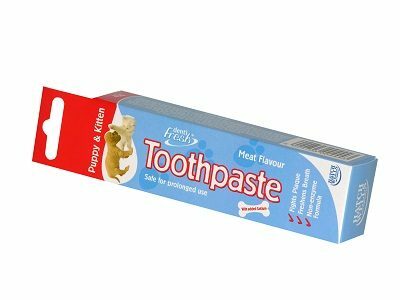 A non-enzyme meat flavoured toothpaste specially designed for Cats & Dogs. 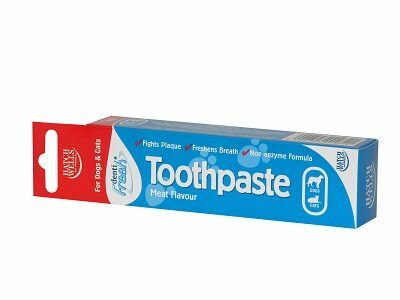 A special meat flavour toothpaste that has a non-enzyme formula and contains added Calcium to help form strong teeth and bones. 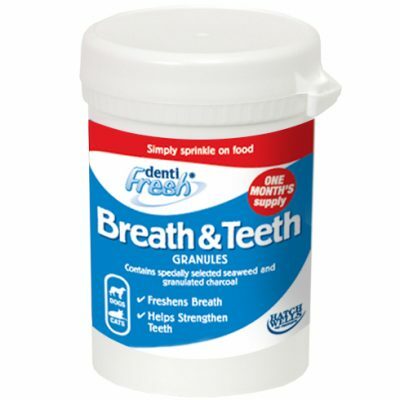 Helps to fight plaque and freshen the pet’s breath. 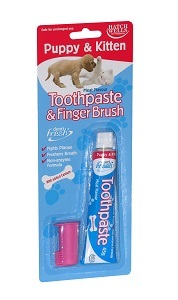 A perfect introduction for your dog or cat to tooth brushing. 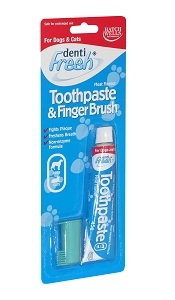 Contains a soft rubber finger toothbrush and a special meat flavour toothpaste that is a non-enzyme formula. 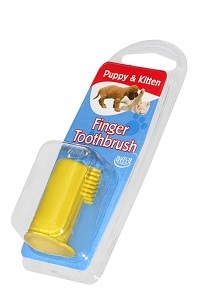 A perfect introduction for your kitten or puppy to tooth brushing. Contains a soft rubber finger toothbrush and a special meat flavour toothpaste that has a non-enzyme formula and contains added Calcium to help form strong teeth and bones. This specially designed toothbrush has soft bristles to protect the enamel on the pet’s teeth and is easy and comfortable to use. 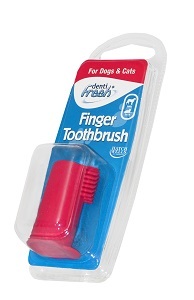 This toothbrush is a good step up from the finger toothbrush when your pet is accustomed to regular tooth brushing especially when used with Hatchwells dentiFresh Toothpaste. 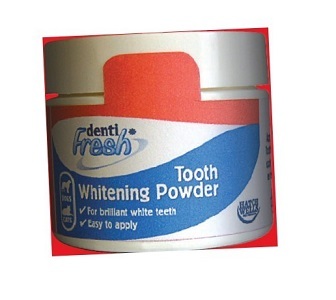 For brilliant white teeth, easy to apply, this powder is specially designed for your cat or dog. Apply once daily or for badly stained teeth apply twice a day.